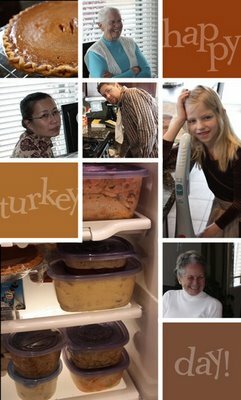 We had a great Thanksgiving complete with the usual pumpkin pie and traditional dishes, with a kick of Chinese mixed in. (Huh?) We had Lois, Audrey, and Alice over and Alice brought a yummy Chinese dish. And we have a pile of leftovers to enjoy for the next month. Yeah! No cooking!